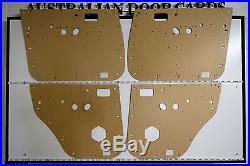 Full Set of Door Cards / Trim Panels. Toyota 80 Series Land Cruiser - Electric Model. 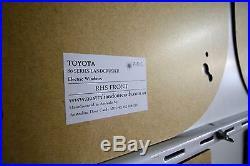 Please Note; There are 3 variations for the Toyota 80 Series Land Cruiser Door Cards. Base - No plastic strip Standard - Window winder with plastic strip Electric - Electric windows. 2.5mm Available by request. 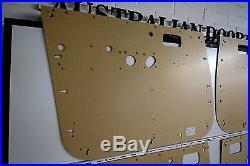 We are an Australian family owned and operated business that specialize in manufacturing high quality door cards for early model vehicles like the early Toyota 80 Series Land Cruiser. We only use the highest quality of hardwood Masonite available. 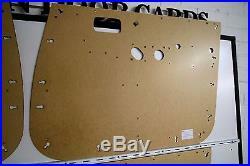 Our Masonite is imported directly from Europe and the door cards are precision cut here in Australia. 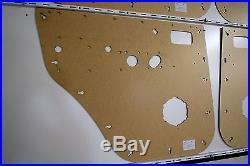 We dont use MDF except for our packaging and we dont use cheap imported material from China. 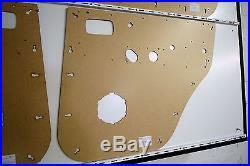 These Toyota 80 Series Land Cruiser door cards are a brand new reproduction and have been precisely cut identical to the original pattern. Cards fully insured should any damage occur during transit. We are always genuinely happy help. 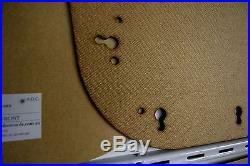 The item "Toyota 80 Series Land Cruiser Masonite Door Cards / Trim Panels Electric Model" is in sale since Monday, October 17, 2016. 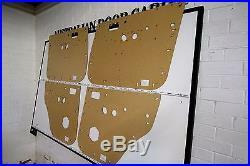 This item is in the category "Vehicle Parts & Accessories\Car, Truck Parts\Interior\Interior Door Panels & Parts". 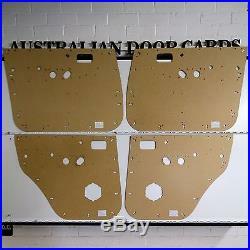 The seller is "australiandoorcards" and is located in Wangaratta, Victoria. This item can be shipped worldwide.